Black metal formation ENTHRONED have released the second track from their upcoming record ‘Cold Black Suns’. The new album will be released via Season of Mist on June 7, 2019. 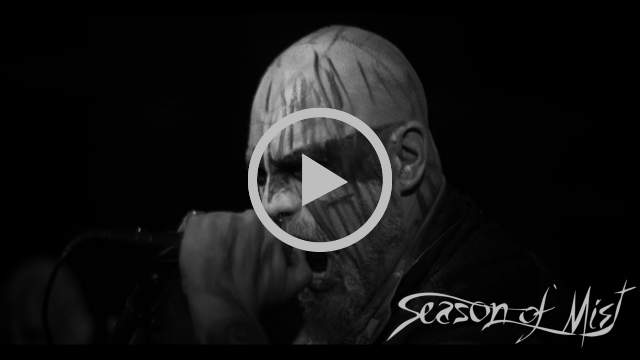 The song “Hosanna Satana” is streaming at the official Season of Mist Youtube Channel in the form of a music video. The link can be freely spread. 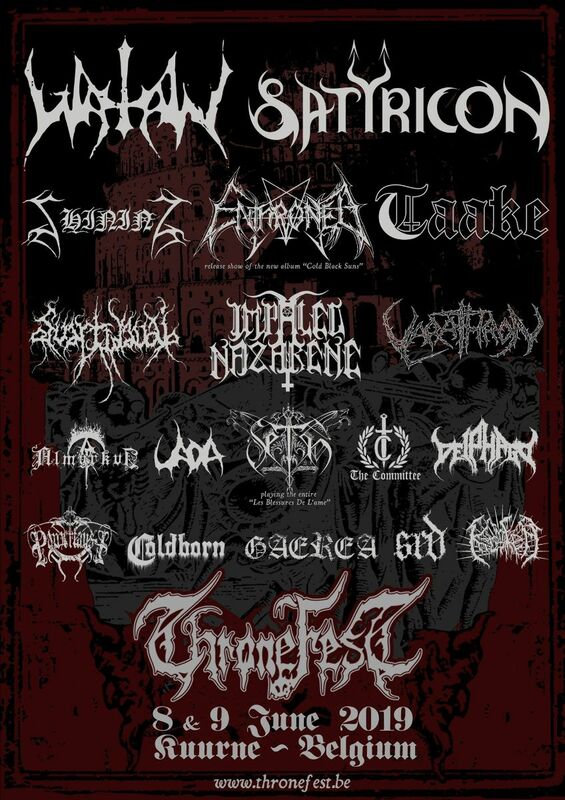 On further news, ENTHRONED have been confirmed for Thronefest in Belgium, where they’ll celebrate the release of the new full length. Find all confirmed tour dates below. The cover artwork and tracklist of ‘Cold Black Suns’ have also been revealed. Both can be found below. The cover was created by Neraath. 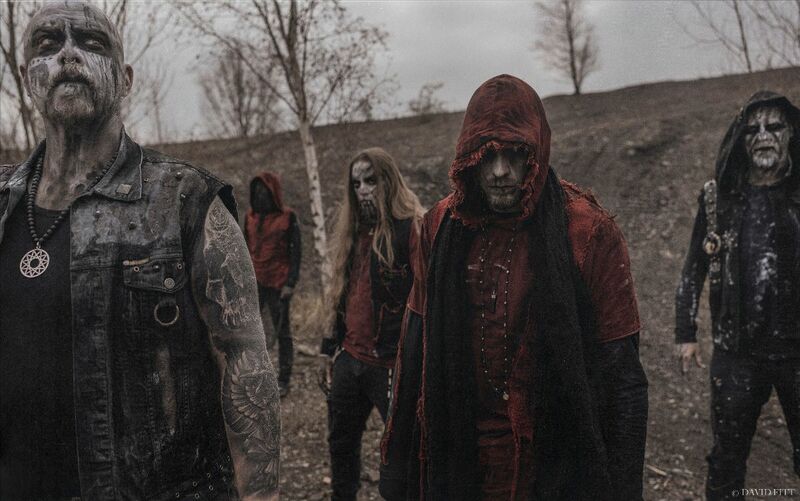 ENTHRONED is surely a name black metal fans are no strangers to. Over the course of the last 25 years, they have pushed the boundaries of black metal and the deepness of the Left Hand Path philosophy further within. The quintet has channelled that dedication into their newest record. ‘Cold Black Suns’ is a dark and crushing black metal album where cold riffing, blood chilling atmospheres, and ritualistic drumming are keys to forging their most mature and accomplished opus to date. The band, who crawled out of the black lands of Belgium in 1993, inked their first contract less than a year after its formation, and recorded debut album ‘Prophecies of Pagan Fire,’ which is now considered an all-time classic in the genre. The band went on to record the album using Cernunnos’s drum tracks from rehearsal recordings which were recorded by long time friend Da Cardoen, from the Belgian band ASPHYXIA. ‘Towards the Skullthrone of Satan’ was thus born. Since then, ENTHRONED went on to tour the world and have released a total of 10 full-lengths, one live album, and a hearty handful of splits and EPs. 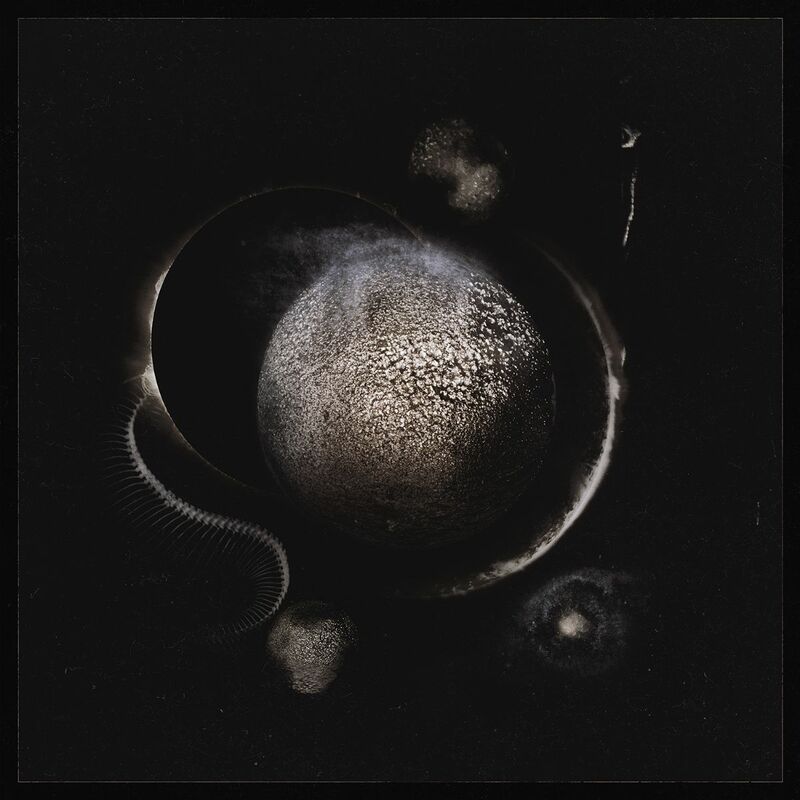 ‘Cold Black Suns’ is one of 2019’s most anticipated releases and is certain to hold up to the hype that surrounds it, delivering an evolved and crushing offering from Belgium’s own black metal legends.